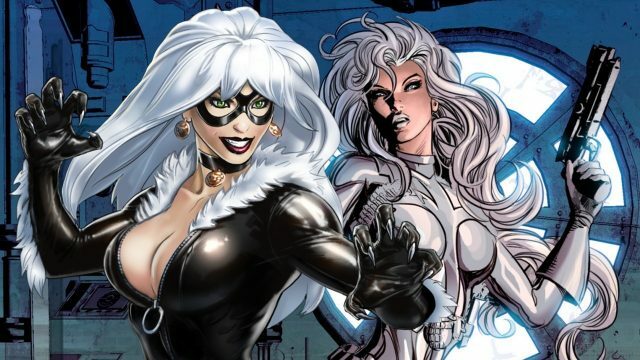 Sony Pictures has just announced Silver & Black, a film to be based on Spider-Man supporting characters Silver Sable and Black Cat, with director Gina Prince-Bythewood attached to helm. She’s also set to rewrite the existing script by Thor: The Dark World scribe Christopher Yost. Coming hot on the heels of Tom Hardy’s casting in the Venom movie, it looks as if the studio truly has some high ambitions for its Spider-Man IP. The two characters, who were revealed to be getting their own spinoff a while back, are alternately allies and villains for Peter Parker. Silver Sable is the CEO of Silver Sable International and leader of The Wild Pack, mercenaries who’ve set themselves the task of hunting down war criminals. Her violent methods often leave her in conflict with Spidey, though she’s generally considered one of the good guys. Black Cat (aka Felicia Hardy) is another similarly morally muddled character, first adopting her persona in order to break her father out of prison and subsequently becoming romantically involved with the webslinger. Speculation is now sure to begin in regards to who’s to be cast as the two superheroines and what they’ll be doing in a movie that presumably won’t actually feature Spider-Man. Despite both this and Venom sounding like promising projects, the prospect of multiple spinoffs that don’t include the webslinger seems a bit like a hamburger without the patty. If nothing else though, this news should be a shot in the arm to those who were worried the future of female-led superhero movies entirely rested on the success of Patty Jenkins’ Wonder Woman. Now, Prince-Bythewood becomes the latest woman to dip her toe into the superhero directing game, closely following Jenkins, whose work on Wonder Woman is already garnering praise. We’ll be sure to let you know when some casting news arises for Silver & Black, but until then, let us know your thoughts on all these Spidey spinoffs in the comments section below.